The latest version of Strawberry software now offers new Visual Highlighting, Task Completion, and customizable user interface branding. All of this paired with a new integration into SLACK® and Marker Import into Avid® Media Composer® takes team collaboration to the next level. While Strawberry has been used for approval purposes before, the new Visual Highlighting and Task Completion features make this process more visual and accurate than ever before. Now, producers, artists, and clients can draw on the previews to highlight specific areas, instead of just commenting on them. This greatly simplifies the process of approval and improves turnaround time. This feature requires a license for the enhanced version of the Communications System. With 5.6, the Strawberry Communications System now seamlessly connects into SLACK ®, the industry-leading collaboration hub. 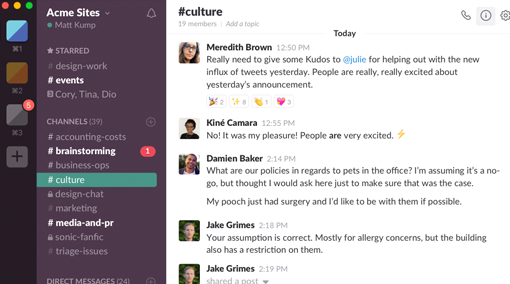 This integration links Strawberry’s project-based communication into the broader corporate channels of SLACK. This builds an efficient communications pipeline from approval workflows to content-focused discussions to real-time system & task monitoring for Administrators. This feature requires a license for the enhanced version of the Communications System. Strawberry 5.6 enables Administrator to upload a custom logo to the Strawberry Admin panel. This logo then replaces the default Strawberry logo in the Strawberry main application and the Preditor add-on. This new feature helps to strengthen branding for internal and remote Strawberry users. The latest Strawberry update introduces support for the Adobe® Creative Cloud® 2019 product family, enabling Adobe® Premiere Pro® CC 2019 and Adobe® After Effects® CC 2019 users to take full advantage of the state-of-the-art integration of Strawberry into Adobe Creative Cloud. 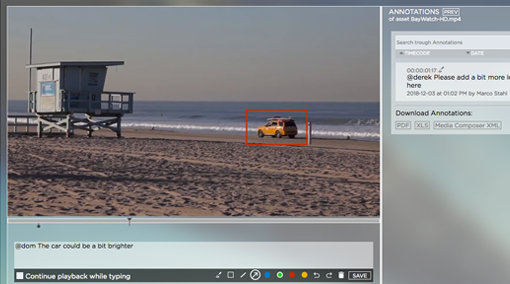 Avid users can now import Strawberry markers into Avid® Media Composer® as XML files. Using this feature, Strawberry feedback can be directly imported into the Avid NLE. Commentary, logged information, for instance for subtitling or tagging purposes, can now be directly imported and viewed from the Media Composer suite. Strawberry can now index and create proxies from media on Avid Nexis® storage systems. This enables Strawberry user to search and to import assets from the Nexis storage directly from within the strawberry user interface. We have replaced the MariaDB with the PostgreSQL database system. This will further improve index update speed, responsiveness & scalability. The Thinking Sphinx & Manticore search engine layers are obsolete. Strawberry can now dynamically set NFSv4 permission on storages & file systems that support it. This includes but is not exclusive to Dell/EMC® Isilon® and Rohde & Schwarz storage solutions. POSIX ACLs remain fully supported.